We know many of you have been waiting to hear at least a clip from the recording of Flannery O’Connor that was discovered in a filing cabinet on the campus of UL Lafayette last spring. The entire recording has been digitized and cleaned up and is now in the hands of her estate. We did get permission to release a few audio clips leading up to the Flannery O’Connor Symposium that’s being held here in November. The first one we want to share is about the Georgia author’s thoughts on young Southern writers. The talk O’Connor was giving in Lafayette in November of 1962 was about the Catholic writer in the Protestant South, but she also had a lot to say about the Southern writer in general. Listen closely, as her accent is quite thick and often adds an extra syllable here and there. To find out more about the symposium scheduled for November 9-10, click here. To hear an interview with the professor who found the recording in her office, click here. We’ll be releasing another clip on November 2, and more will be played during the symposium. Rich Fabric Anthology, edited by Melinda McGuire, is a collection of stories about the culture, tradition and symbolism of quilting. Bob Kealing, who manages The Kerouac Project in Orlando, Florida, sent us his new book, Calling Me Home: Gram Parsons And the Roots Of Country Rock. 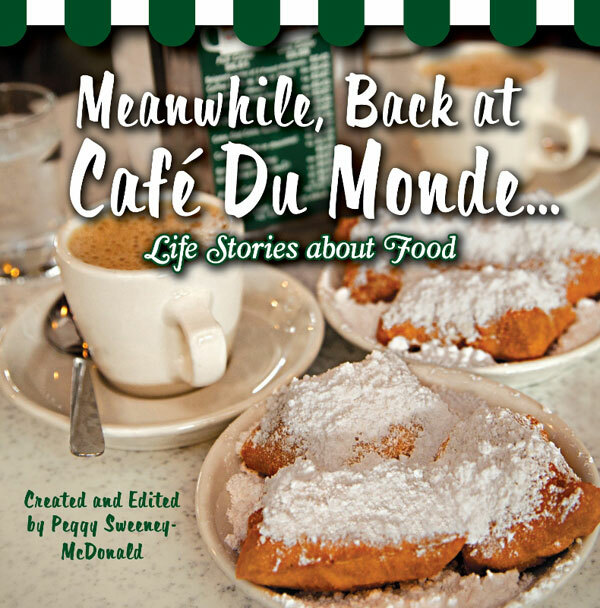 Meanwhile, Back at Cafe Du Monde, created and edited by Peggy Sweeney McDonald, includes life stories about food and of course New Orleans’ legendary beignet and coffee shop. UNC Press has a review of the Southern Festival of Books in Nashville last weekend. Publisher’s Weekly estimates that 20,000 people turned out. Listen to American Public Media’s report on The House Eudora Built about a visit to the Eudora Welty House in Jackson, Mississippi, with her niece, Mary Alice White, as tour guide. Check out Dwell‘s map of independent bookstores across America. Step inside Tim Westover’s novel “Auraria” at Dahlonega, Georgia’s Gold Rush Days this weekend. See My Fox Atlanta’s report on the festival here. 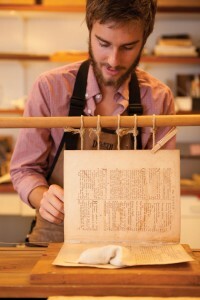 The Library Society of Charleston announced the launch of its new book bindery and archival lab at what is the third-oldest circulating library in the nation. The bindery’s first edition will be a book written in 1798 by John Drayton, the grandson and namesake of the builder of historic house museum Drayton Hall. 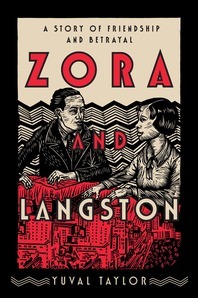 Rhiannon Leifheit’s essay These Faded Things: Zora Neale Hurston in The Oxford American is a charming tribute to overalls and how literature can inspire fashion. Religion Dispatches magazine has a piece by Carrie Allen Tipton titled Honey Boo Boo and the Sweet By and By. It’s actually a review of “Then Sings My Soul: The Culture of Southern Gospel Music,” a new book by Douglas Harrison, but she got us with Honey Boo Boo in the title. Tipton also has a piece forthcoming in Deep South early next year, so stay tuned. Our ghost story with The Moonlit Road this week is The Curse of 21, set in North Carolina. 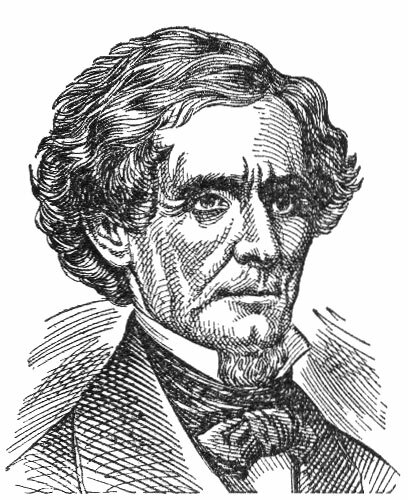 Mental Floss also has a ghost story this week about The Bell Witch of Tennessee. Tom Honea, whose story “The Road to Texas” we published back in May, has a new e-book titled “A Confluence of Rivers,” available now. Julie E. Bloemeke, whose series of poetry and photography we featured during National Poetry Month in April, has been guest blogging over at The Best American Poetry all week. Check out her post on James Dickey, Marianne Moore, Anne Sexton and a Confluence of Kismet. The 2012 James River Writers Conference in Richmond, Virginia, includes a workshop with Tom Robbins today at the State Capitol and workshops, panel discussions and more October 20-21. Join Deep South in Lafayette on October 25 at The Saint Street Inn for a booksigning and talk with Cory MacLauchlin, author of the new biography on John Kennedy Toole, “Butterfly in the Typewriter.” MacLauchlin will be talking about Toole’s Lafayette connections, who he thinks the real model for Ignatius Reilly was and signing books from 5-6 p.m. The Louisiana Book Festival will be held October 27 in Baton Rouge at the State Capitol. This festival lineup is finally out, with featured authors including Marcelle Bienvenu, Rick Bragg, Cory MacLauchlin, Wiley Cash, Tim Gautreaux, Olympia Vernon, Karen Spears Zacharias and lots more. See the festival’s banner ad at the top of our site for more info. The Fitzgerald Museum in Montgomery, Alabama, will hold its annual Halloween Bash on the grounds the evening of October 31. Dress in the theme of “Mobsters and Monsters.” Tickets are $25. The weekend of November 9-10 is the Georgia Literary Festival at the new Jekyll Island Convention Center, which will include Poet Laureate Natasha Trethewey, Chef Hugh Acheson, Mary Kay Andrews and Steve Berry. The Dahlonega Literary Festival will take place in historic Dahlonega, Georgia, November 10-11. So far, guest authors include K.M. Deal, Tim Westover and Regina Jeffers. 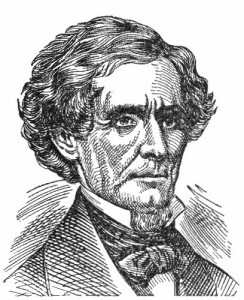 The Wives of Jefferson Davis on the Corner of Locust and Maryland, an experimental poem about the ghost wives of our former president inspired by the writings of Shelby Foote, by Jack Austin. To find out more about Southern authors’ haunts and hangouts, including the Eudora Welty House, farm of Flannery O’Connor and grave of Shelby Foote, download the Deep South Literary Trail App, now available direct from iTunes and for Android. Check out the Literary Friday Pinterest board here! 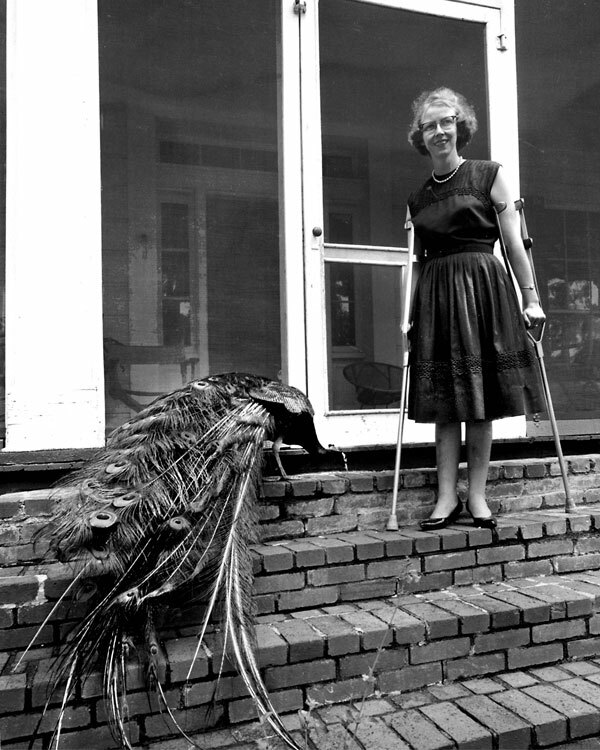 Flannery O’Connor photo by Jack McTyre/Atlanta Journal Constitution. Awesome Erin. I would love to hear more! She is one truly one of the greatest writers EVER! I have only just discovered the work of this brilliant woman. I am ashamed to be doing this so late. I am stunned that we were never given any of her work to read in school. After hearing her voice, I am amazed. She sounds almost exactly like me. I don’t drop my Rs, but that is the only difference. The Learning Channel would subtitle us both. They only see the need to translate the Southerners, I’ve noticed. It’s so nice to hear what she sounded like. Thank you!